Arrive Florence. Check in to the Hotel. Later proceed for an afternoon City tour, offering panoramic views of the unparalleled beauty of Florence, taking in Fiesole, town of Etruscan origin and the Arno Valley. The tour continues to the old city centre to the Franciscan Church of Santa Croce with the tombs of Michelangelo, Macchiavelli, Galileo and Rossini. A short walk in the historic streets of Florence brings you to Piazza Signoria, where you can admire the imposing Palazzo Vecchio (exterior) and the beautiful Loggia del Lanzi. The tour continues with a guided tour of the famous Galleria degli Uffizi. Overnight in hotel. After Breakfast at the Hotel. A splendid excursion through the fertile and picturesque Tuscan countryside to the historic university city of Pisa. 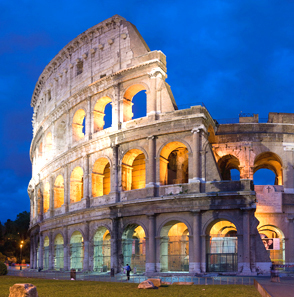 Guided walking tour of Piazza dei Miracoli, with the celebrated Leaning Tower (exterior), the Baptistery (exterior) and other important monuments. This is followed by a visit to the Cathedral, masterpiece of Romanesque art. Free time at your disposal. Return back to Florence. Overnight in hotel. Today After a good breakfast at the hotel. The day is free. 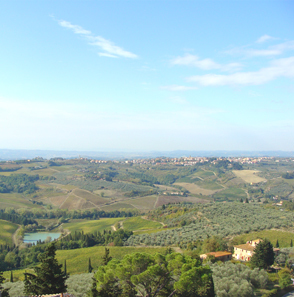 Afternoon proceed for an excursion to one of the most suggestive Chianti region of Tuscany. Only wines from this region can properly be called Chianti. This region is known all over the world for its wine and its countryside of unrivalled charm, where woods alternate with vineyards and olive groves, in a landscape dotted with Romanesque churches, farmhouses, villas and castles of rare beauty. This tour includes a visit of the most famous wine-growing estates, complete with a snack and tasting of its prestigious wines. Return back to the Florence. Overnight in Hotel. Today after breakfast at the hotel. A beautiful excursion through the delightful hills of the Chianti countryside, with anever-changing scenery of vineyards and olive trees. Upon arrival in Siena, a guided tour of the old city centre: Cathedral, Museo dell'Opera Metropolitana. The guided tour will conclude in the Piazza del Campo, one of the most beautiful in the world, where you will find the Palazzo del Comune (exterior). Free time for lunch (not included). Departure for San Gimignano a tiny city that has remained intact through the centuries; situated on a hilltop, it is famous for its numerous towers, frescoes and other art treasures. During the return journey to Florence, you can admire the old mediaeval village of Monteriggioni. Overnight in hotel. Breakfast in the Hotel. 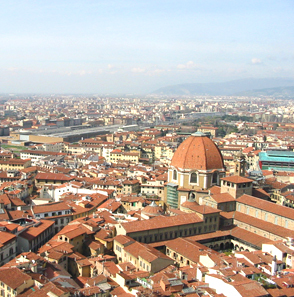 In the morning, according to your flight, departure to Florence airport, or continue on you onward journey. Tour Ends.